Your Tranquil Escape, Close to Everything. 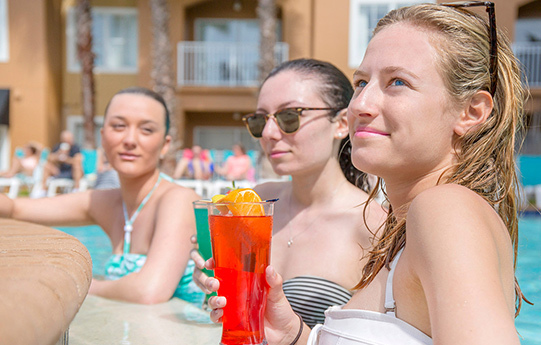 The Point Hotel & Suites Orlando Resort offers modern accommodations and relaxing resort amenities near Florida's most popular attractions & dining. Book an upcoming stay in one of our contemporary executive studio, one-bedroom or two- bedroom suites and enjoy the comfort of home away from home. Our vibrant property includes a tropical outdoor pool and hot tub, a Cabana Grill & Bar and well- equipped fitness center. Be our guest today and experience what makes The Point Hotel & Suites the world's premier hotel destination for family fun and adventure. Relaxing, spacious. rooms with balconies and full kitchen options. Don’t book through 3rd parties, always save the most by booking direct. Enjoy concierge, shuttle transportation, Wi-Fi and more! 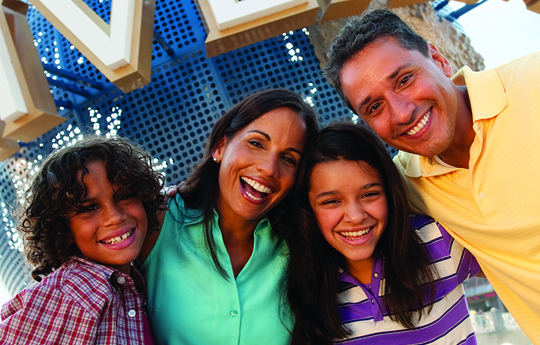 Our resort is located just minutes away from Orlando's major theme parks, with daily shuttle service to Disney's Magic Kingdom, Epcot Center, Sea World, Universal Studios and the Orlando International Premium Outlet Mall. The Point Orlando Resort has everything you need to relax on a family vacation or be productive on your next business trip, including fitness center, pool, hot tub, on-site breakfast and shuttle service. Book your peaceful retreat in the middle of the action direct with us and receive 20% off the standard rate and breakfast for 2 each day of your stay! Plus enjoy all of the amenities of our stylish, boutique hotel for the ultimate vacation.